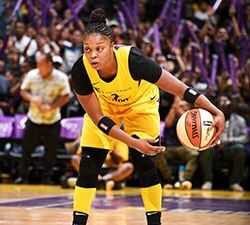 NEW YORK and SAN FRANCISCO, May 1, 2017 – The Women’s National Basketball Association (WNBA) and Twitter (NYSE:TWTR) announced today a multiyear streaming deal that will bring live WNBA games to Twitter, beginning with the Dallas Wings at Phoenix Mercury game on Sunday, May 14 at 6 p.m. ET. This marks the first professional women’s sport to be live streamed on Twitter. The WNBA will live stream 20 regular-season games per year on Twitter in 2017, 2018 and 2019. 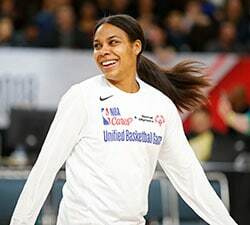 The games will be available alongside the real-time Twitter conversation starting May 14 at wnba.twitter.com and via @WNBA. The agreement also includes the WNBA joining Twitter’s Amplify program, which will include 40 highlight packages per week being featured across Twitter. 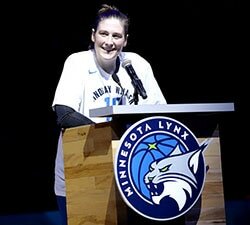 The WNBA regular season tips off May 13 and runs through Sept. 3. Game tickets are available at www.wnba.com.